"Let me sail, let me sail"
Sleeping two people in one bedroom, this charming single storey cottage is in a countryside location in Tatham, near Low Bentham. Ashbank Cottage is a cosy single-storey cottage in a countryside location in Tatham, a couple of miles from Low Bentham. The cottage has a double bedroom and a bathroom, along with an open plan living area with kitchen, dining area and sitting area with woodburning stove. Outside is off road parking for two cars, and a decked patio with furniture. Ashbank Cottage makes a wonderful base for couples looking to enjoy the scenery, good walking and market towns of this beautiful area. Note: Owner breeds horses which graze in the adjoining fields. 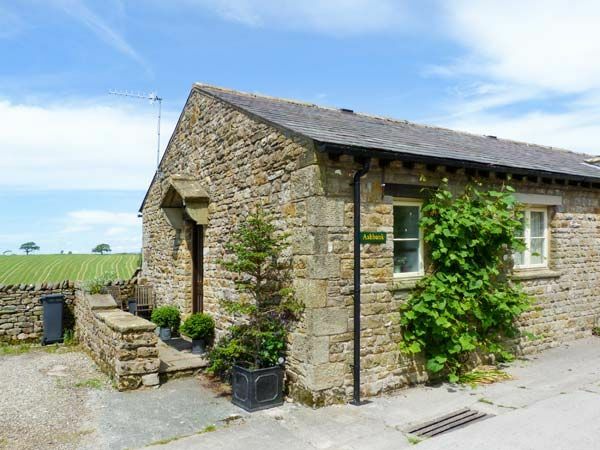 Ashbank Cottage - A holiday cottage in Lancashire, England. Book your next beach holiday through British Beaches.